Product prices and availability are accurate as of 2019-04-20 01:07:52 BST and are subject to change. Any price and availability information displayed on http://www.amazon.com/ at the time of purchase will apply to the purchase of this product. California Home Goods is a homegrown brand dedicated to bringing you quality lifestyle essentials. And while we want to make your lives easier, that also means we value your health and safety. That's why we're proud to introduce to your our Self Adhesive Bandage Wrap Value Pack. Our very own adherent cohesive bandage rolls are strong self adhering tapes that offer excellent support for various parts of your body. 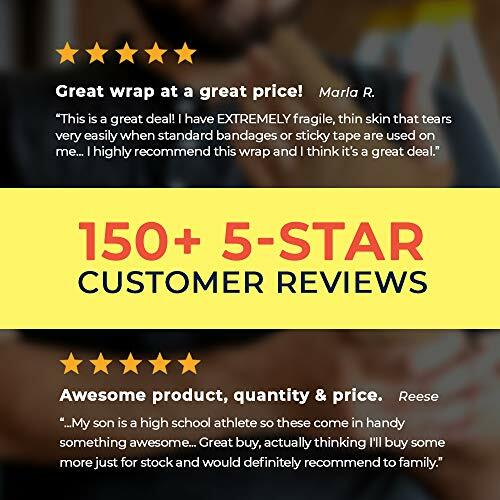 As these elastic wrap bandages are made from a premium quality soft and stretchy fabric, you may definitely use them as first aid wrap for minor sprains, medical bandage wrap for after-surgery support, or as a regular sports wrap tape. ?? SELF ADHERING BANDAGE WRAP NEEDING NO PINS & CLIPS! 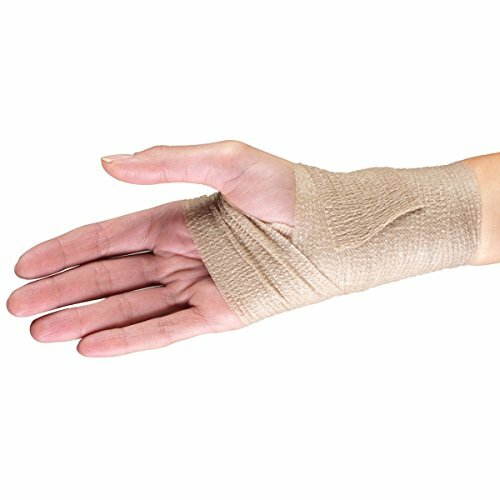 Unlike non adhesive bandages, our self adherent wrap tapes will not slip and will stay in place, eliminating the need for frequent readjustments. ?? ELASTIC WRAP BANDAGE IN THE PERFECT SIZE: Each stretch bandage roll has a width of 2 inches and can go as long as 5 yards when stretched. ?? 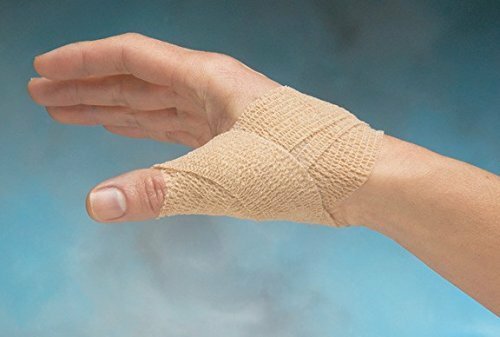 ELASTIC TAPE MADE FROM MEDICAL-GRADE MATERIAL: Our self adherent cohesive bandage wraps are made from a material that is water-resistant, soft, flexible, and can be torn even without scissors. ?? 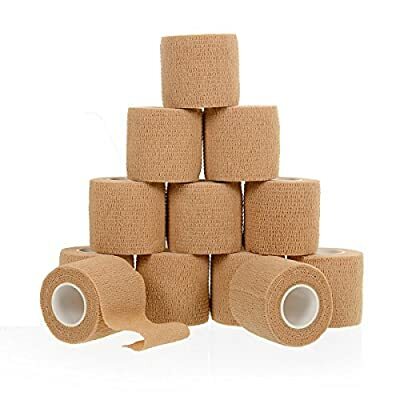 VALUE FOR YOUR MONEY: Each adhesive bandage roll pack includes 12 rolls of self-adhesive wrap bandages in natural brown color. ?? 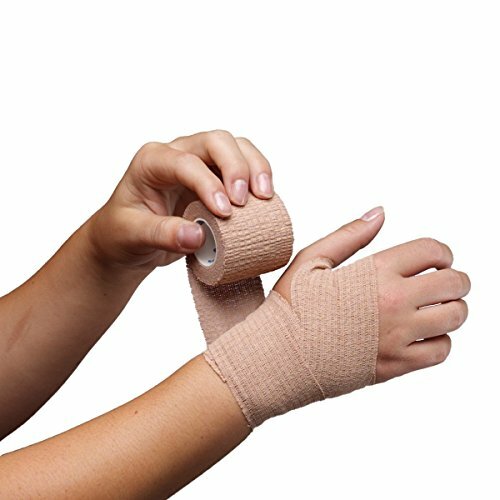 VERSATILE BANDAGE TAPES: Use our self adhesive medical wrap bandages for sprains, swelling, soreness, and more. Be confident to move and do what you want even with body injuries with our flexible bandage wrap tape, stretch tape, coban wrap, or self adhesive bandage rolls. Buy this 12-piece Cohesive Bandage Roll Value Pack from California Home Goods now!